Compact, foldable design and single-side flat cable combined to make music highly portable. 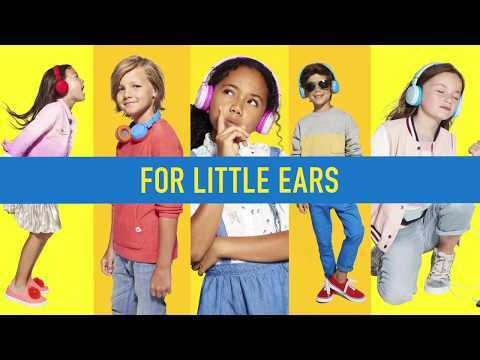 Safe, lightweight and sized for kids, the JBL JR300 headphones are specially crafted to bring legendary JBL sound and fun to even the youngest music enthusiasts. Designed with a volume limit below 85dB to ensure that the headphones are safe to use. Kids listen in comfort with custom designed soft padded headband and ear cushions for a feathery fit. Kids will also have fun customizing the headphones with the available stickers. JBL JR300 is rated 4.6 out of 5 by 32. Rated 5 out of 5 by Wayne55 from great for young kids I bought this for my three year old granddaughter and she loves them. Rated 5 out of 5 by Kannette from Perfect fit Just opened them for Christmas. They are a perfect fit. Bought two for my 3 year old granddaughters. Exactly what I was hoping for. Rated 5 out of 5 by kaitlin from Red and Blue! I bought these for my first grader. His school requested them on the supply list. They sound great at an excellent price point. Spider Red is red and blue. We highly recommend them! Do these headphones have volume control? The JBL JR300 does not have a volume control on the headphone itself. You may have to control it directly from the mobile device. Hi is this price quoted in SGD and is this suitable for 9 years old? The JBL JR 300 is mainly designed for kids within ages 3-10. I noticed that you are in Singapore. For further assistance ,please submit a case at support.apac@harman.com and our Customer Service Team will be more than happy to further assist you. can you turn one side off, while listening? My daughter is doing Brain Balance and they require her to listen to music only with the right ear. Thank you for reaching out to us, unfortunately the JBL JR 300 cannot turn off one side of the earphones when playing music. You may be able to use a 3rd party application on your phone to adjust the volume level on each side of the headphones instead. 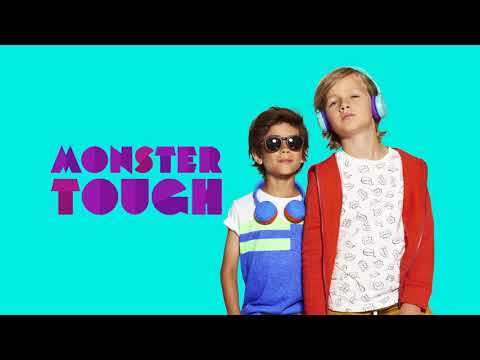 Are these headphones suitable for teens and preteens - 10-14 years old or would you recommend something else? 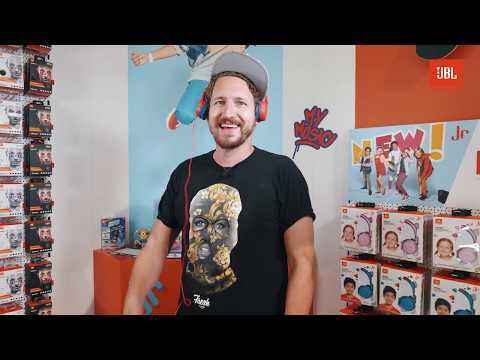 Yes, These headphones are for kids who love listening to music. They would enjoy this headphones as they are comfortable to use and have different colors. For what ages are these headphones appropriate? Are they too large for a 3 year-old? These JBL JR300 are designed for children and should fit perfectly for Kids with ages 3-10.
do these have a case? The JBL JR 300 does not have a carrying case available yet.